Immaculate home in one of Parker's best neighborhoods! 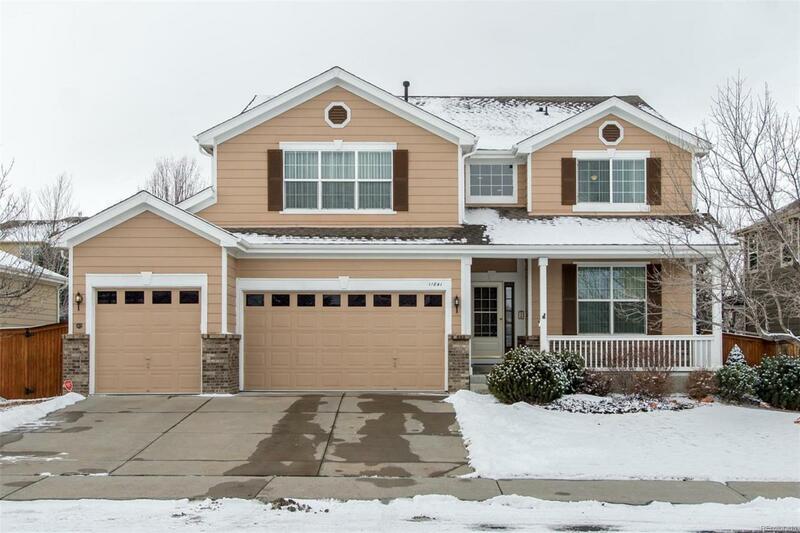 This meticulously maintained 5 bedroom/4 bath, 3200+ finished sqft home offers an inviting floor plan with upgrades and designer finishes throughout. This property features a gourmet kitchen with large island and SS appliances, a huge master suite with spa-like 5-peice bath, fireplace and walk-in closet, spacious living and family rooms , elegant dining room and a dedicated office or 5th bedroom on the main floor. The recently renovated covered back patio and professional landscaping creates a fantastic backyard retreat seldom found in this price point. The home is situated in a cul-de-sac and backs to a greenbelt for added privacy. Additional 1400+ sqft of unfinished space in basement is ready for your finishing touches. 3-Car attached garage. Located in the top rated Douglas County School district. Must see!